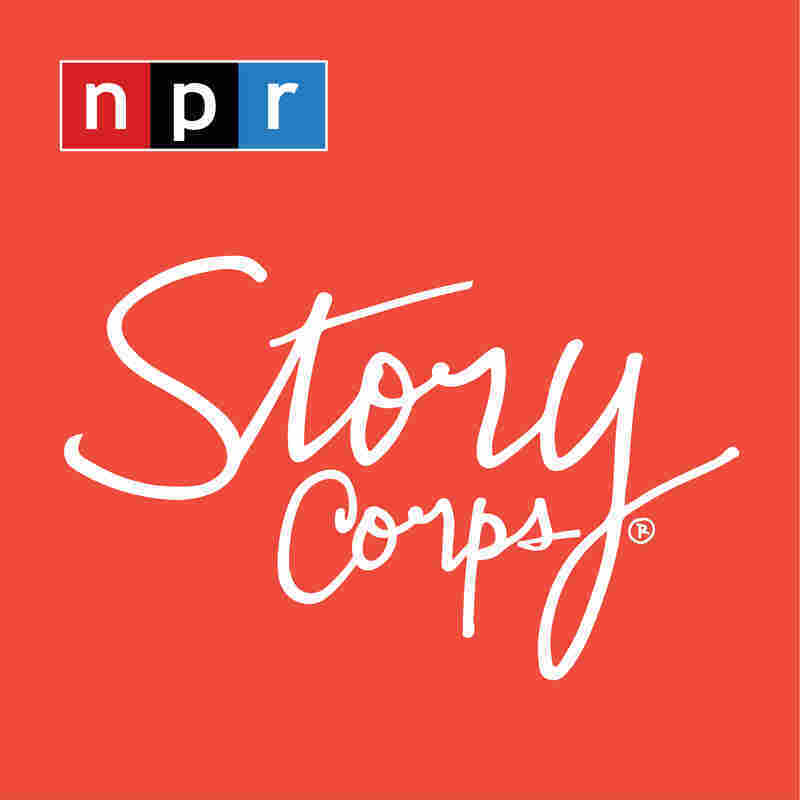 StoryCorps: De'Marchoe Carpenter spent 22 years in prison for a murder he didn't commit, which pulled him away from a new romance. Although he was exonerated, he struggles with anxiety from his time in prison. 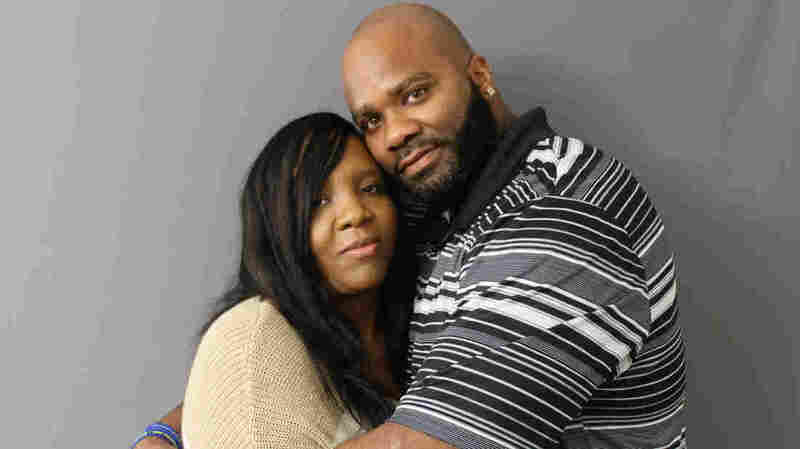 Brandy and De'Marchoe Carpenter got married two years ago — 13 days after he was released from prison. They started dating in 1994, but before they had their first kiss, he was arrested for a crime he didn't commit. They simply enjoyed each other's company. "We just hung out, sitting on the porch, talking," De'Marchoe says. "It was your eyes that allured me to you. They just dance. It seemed like we got close — and then I was arrested." Brandy was confident in De'Marchoe's innocence. "I had no doubt that you would be coming home," she says. "I knew it was just a big misunderstanding." De'Marchoe remembers Brandy showing up to his court date when he was to learn his verdict — that he'd been found guilty of first-degree murder and sentenced to life plus 170 years in prison. "I held my head up high, you know, I tried to maintain my composure," he says. "When I got back to my cell, you know, I put my head under my covers and I just cried. I remember I cried myself to sleep." "I knew that they got it wrong," Brandy says. "They got it all wrong." But then they lost contact. "I was writing letters and I felt like you stopped writing me," De'Marchoe says. "And I felt like you stopped writing me," Brandy says. "But I think we figured out it was my mom not letting me know that I had those letters." "It was 13 and a half years later when you came back into my life," De'Marchoe tells her. They reconnected through De'Marchoe's brother, who had given him Brandy's phone number at her request. They started talking regularly by phone, and then she applied successfully to be added to his visitors list. "For the last six years of my incarceration, you know, you was there for me," he says. "You came to visit me every week." "I remember coming in, having to take everything off — my earrings, my belt, my bracelets. I used to pray for this: 'I just wanna be able to hug him,' " Brandy says. "Now it's like, I can't sleep without you." In 2016, 13 days after De'Marchoe was released from prison, Brandy and De'Marchoe Carpenter got married. But he has to cope daily with anxiety caused by being in prison. "I worry about you," Brandy says. "Prison, it messed me up," he says. "To see someone getting stabbed and, you know, to be confined to a cell 23 hours a day, sometimes six months at a time when we're on lockdown, it had an effect on me in a terrible way." "I don't believe people realize how bad your anxiety is," Brandy says. "They don't see the breakdowns, the meltdowns." She recalls one early morning during his first days home. "I get up, and I look outside, I see you pulling out of the driveway in the truck," Brandy says. De'Marchoe says he can feel an urge to spend time alone. "Sometimes I just wanna get up and leave — just because," he says. "And, you know, not have to worry about 'Where you goin'? What you doin'?' For me, it's like, for 17 years my mom told me what to do. For 22 years, prison officials told me what to do. I've never had the time where I called the shots for myself." As for Brandy, she hopes their communication only gets stronger. "I just wish that you would let me know what's going through your mind so I can know how to help," she says. "But we've been through things worse than this — the visits, waiting on you to come home. If we can get through those things, we can get through these things." Produced for Morning Edition by Aisha Turner.